What do you think algae can do? Algae to others might just some green organism but four students from Team MACARA designed EDCOS project to use algae to solve our world toughest problem. 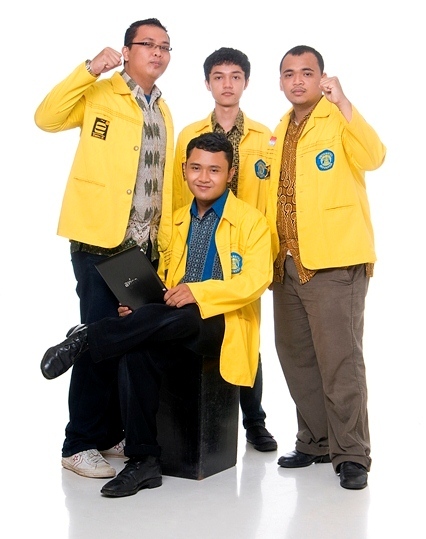 The team is consist of Ednaz Hermawan, Alfan Presekal, Reza Bhaskoro Wibowo and Aditya Rinus Pratama Putra. They are all from University of Indonesia. Together with the help from their mentors Catur Apriono, Agus Kurniawan and Dianursanti, they have successfully enter the worldwide final of Imagine Cup. Check out their project at Imagine Cup People Choice’s Award and support them if you like their project by casting your vote on them. They will heading to New York City represent Indonesia in Imagine Cup 2011 Worldwide Final in Embedded Development category this coming 8th – 13th of July 2011. They will be competing with teams around the world. I’m lucky enough to get contact with them and learn about their story as one of the Microsoft Student Partner (MSP) Social Media Team. EDCOS (Environment Digitally Controlled System) is a project that we offer as a solution to the problem of global warming, hunger, and renewable energy. We try to design an instrument (fotoreactor), with manufacturing control systems to increase the amount of biomass that can be produced. We hope to implement control systems in algae fotoreactor. This system will control the variables algal growth, such as temperature and concentration of CO2 absorption. Thus we expect this fotoreactor will be able to enlarge the production of microalgae biomass. More microalgae biomass produced more CO2 that can be absorbed. Besides the more biomass that can be used as new food ingredients and sources of glucose to bioenergy manufacture. Algae are living creatures that get its energy from photosynthesis using CO2 from air as a carbon source for glucose production. The cultivation of algae will be very supportive of CO2 reductions in the air. The problem in the production of algae is the amount of biomass produced is very small. In 13 Liter medium algae growth, biomass obtained only about 10 grams of biomass. Therefore we try to design an instrument (fotoreactor), with manufacturing control systems to increase the amount of biomass that can be produced. 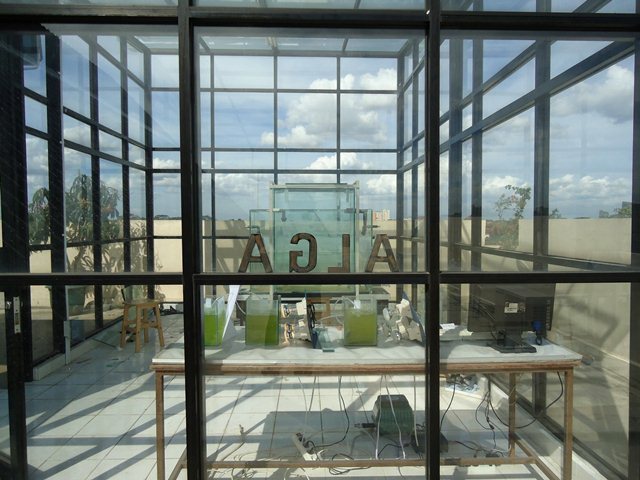 Proliferation of algae can use an embedded system, in which algae is cultivated using a special tool. The surplus compared to the conventional way that is, we can control algae growth optimally. Yes, this is the first time we join Imagine Cup. It feels so great, we can know about innovative solutions around the world. Also we can know about the world problems and let us invent some ideas to solve them. It feels great. Before we join Imagine Cup we didn’t know well about some people on our faculty that have so many potentials about creating ideas to solve the problem of the world. After we join Imagine Cup, we finally know those people and we can share our experiences and ideas to each other. The first our plan after Imagine Cup 2011 are to implement our project at Laboratory as tools for students for doing some experiments with they study. This is one of our commitment to Mrs. Dianursanti that if our project has completely finish, she wants this tools can be implement at hes laboratory, so can useful for other students. The next plan is develop this project . we want we can control overall system from algae until be resource of biofuel , bioetanol , and food supplement. So this tools can produce something more than more biomass. We hope we can do that thing, cause our dream are make something that can be useful to make better life for everyone. Find out the latest update from Team MACARA by liking the team on Facebook fans page or follow them through Twitter. You can also stay tune in my blog for more update on Team MACARA and event of Imagine Cup 2011 Worldwide Final at New York City or follow the official Imagine Cup fans page or Twitter.